Drive with confidence knowing that your scheduled maintenance is taken care of right from the start, as is your budget. Choose a maintenance plan that’s right for you, with options designed for low- or high-mileage driving, whether you buy or lease. 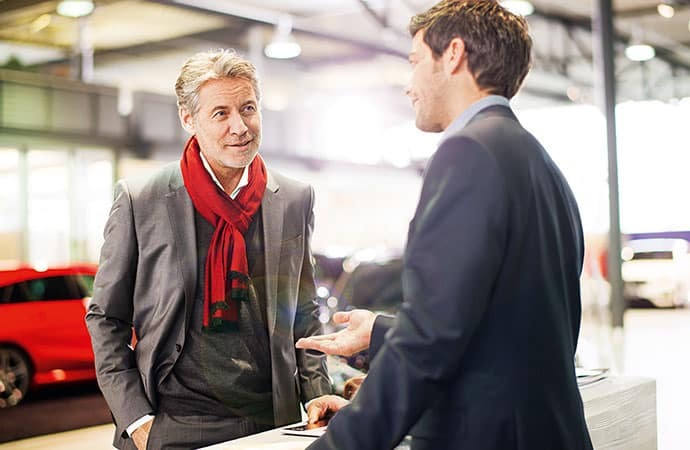 Plus, pre-paying at your authorized Mercedes-Benz dealership offers significant savings compared to a pay-as-you-go approach. Prepaid Maintenance is available for most Mercedes-Benz models* at the time of purchase, or any time before the first scheduled maintenance service. 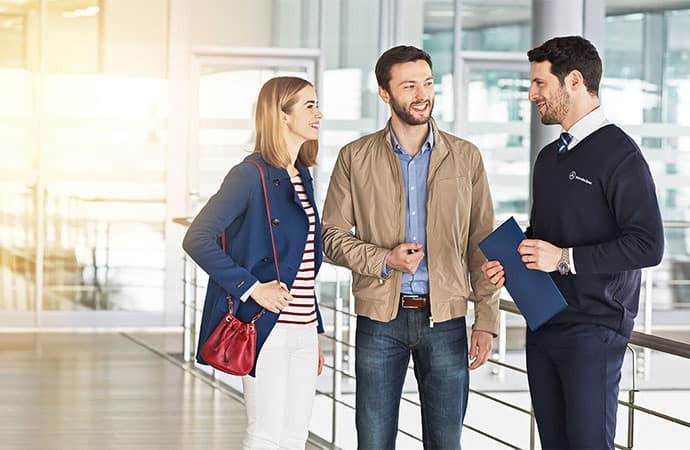 Prepaid Maintenance is available for most Mercedes-Benz models at the time of purchase, or any time before the first scheduled maintenance service. Mercedes-Benz Prepaid Maintenance offers further peace of mind: your vehicle’s factory scheduled maintenance will be followed, its warranty maintained, and all work will be performed by highly-skilled technicians using the latest diagnostic tools, and Mercedes-Benz GenuineParts. Prepaid Maintenance Select is available for most 2010 and newer Mercedes-Benz models. Vehicles are eligible for Prepaid Maintenance Select anytime after the first scheduled maintenance service or when mileage exceeds 25,000 km for most Gasoline-powered models (18,000 km for Diesel, AMG and V12 models), whichever occurs first. 1Prepaid Maintenance is available for 2014 and newer models, and is not currently available on G550 or SLS models. 3When Prepaid Maintenance is purchased as part of the lease contract, with matching terms; applies only to vehicles that are returned at end of lease term. 4Monthly payment options only available at the time of vehicle purchase (lease or finance deals). 5Certain terms and conditions apply. 6Percentage savings may vary based on vehicle model and year. 7Monthly payment options only available at the time of vehicle purchase. 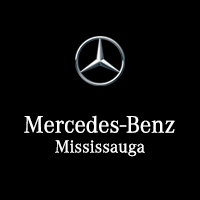 8Prepaid Maintenance Select coverage is available for work performed at an authorized Mercedes-Benz Canada dealership only.